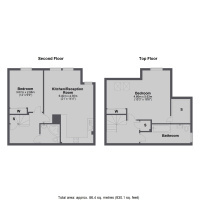 Jacksons | 2 bedroom property for sale in Pathfield Road, London - £500,000 to find and add some properties. A well presented two double bedroom split level flat located close to Streatham Common Station and the amenities of Streatham High Road. Pathfield Road a sought after road just moments from Streatham Common Station and the amenities of Streatham High Road including; Bars, Restaurants, Streatham Leisure Centre and Streatham Common. There are excellent transport links with; Streatham Common and Streatham mainline stations in addition to numerous bus routes. A three bedroom bungalow with off street parking and a private courtyard located close to Streatham train station. This substantial property requires complete refurbishment but has great potential to extend both up and out to create a very special family house. The property has unusually large proportions to include a massive entrance hall.